This buck made a surprise visit late one evening. The sidelight made for interesting coloration in the sage. I cropped it in tight to highlight his wide unique rack. Impressive buck! I might prefer a little more space all around while still showing off the unique rack, but that's just me. Great light with an attractive green and gold color scheme. 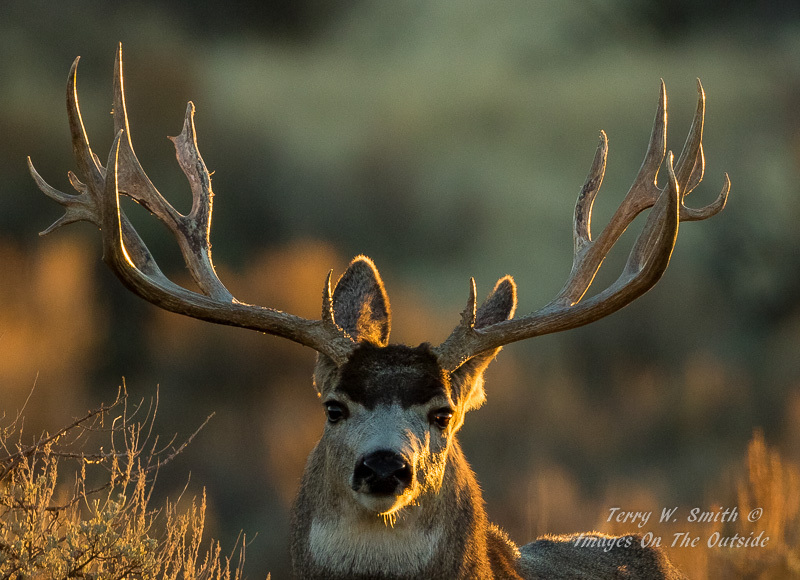 You come up with some wonderful subjects and wildlife images Terry. He's really on the alert, Terry! Very dramatic sidelight. Beautiful close up with great lighting Terry! When I saw the thumbnail I thought I bet that is Terry's. Impressive animal well captured in really interesting light. The composition works for me with the sage on the left and a sliver of the back showing.